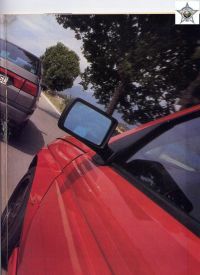 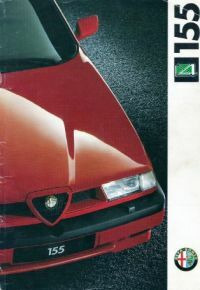 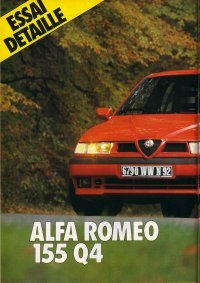 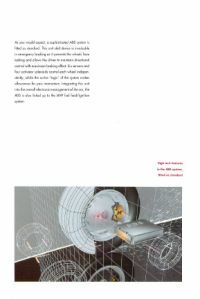 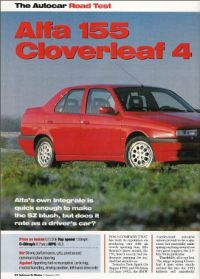 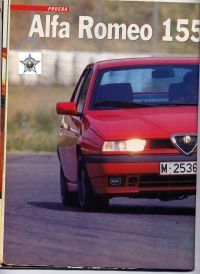 The Alfa Romeo 155 Q4 brochure in English, part 1. 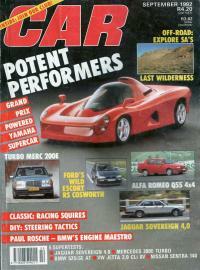 External link to an article on a 500bhp Q4!! 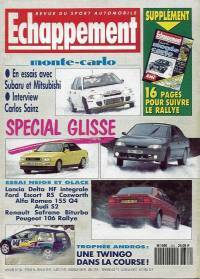 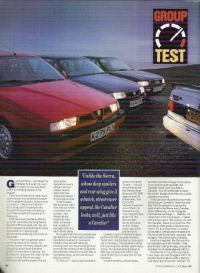 Group test on Ice between the Alfa Romeo 155 Q4, Lancia Delta Integrale, Renault Safrane Biturbo, Audi S2 and Peugeot 106 Rallye. 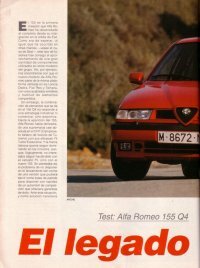 Short South African test of the Alfa Romeo 155 Q4. 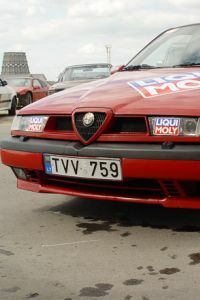 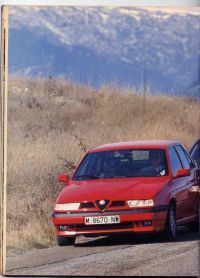 Alfa Romeo 155 Q4, Opel Vectra Turbo and Renault 21 Turbo Quadra. 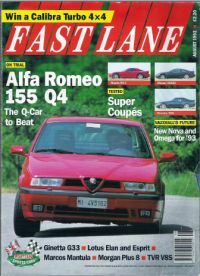 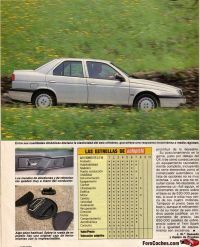 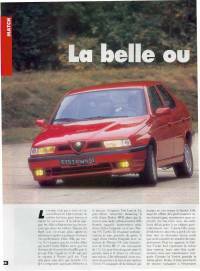 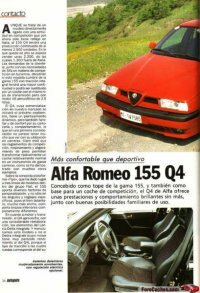 Road test of the Alfa Romeo 155 V6 in Spanish.